Every season has a characteristic appearance. 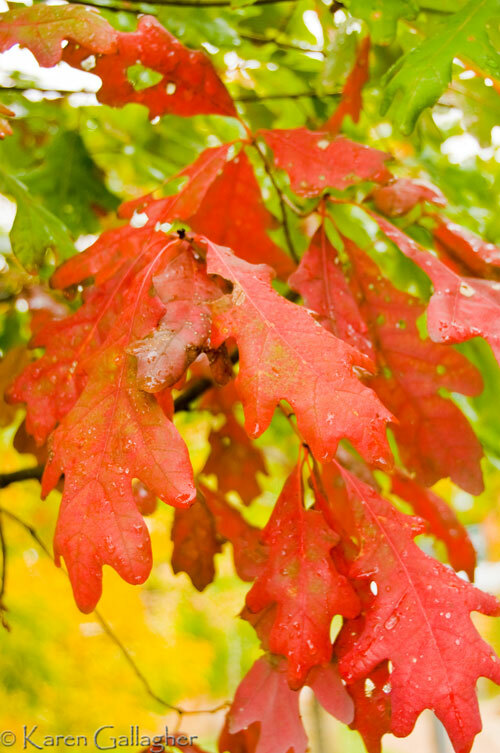 At its peak, fall is renowned for a collage of unequaled color. 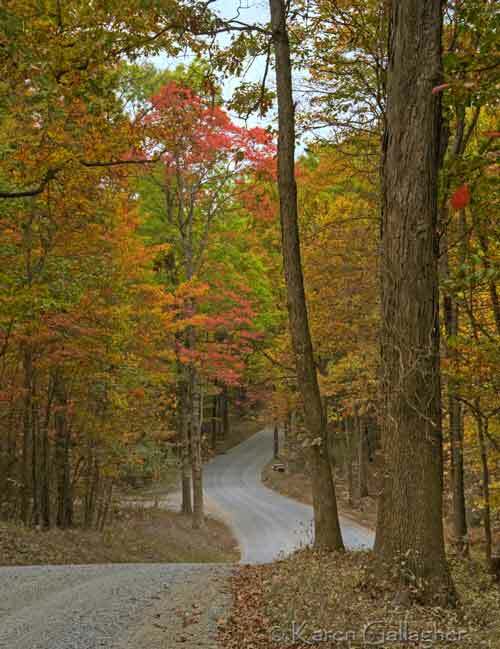 My husband and I recently took to the road to immerse ourselves in autumn splendor. 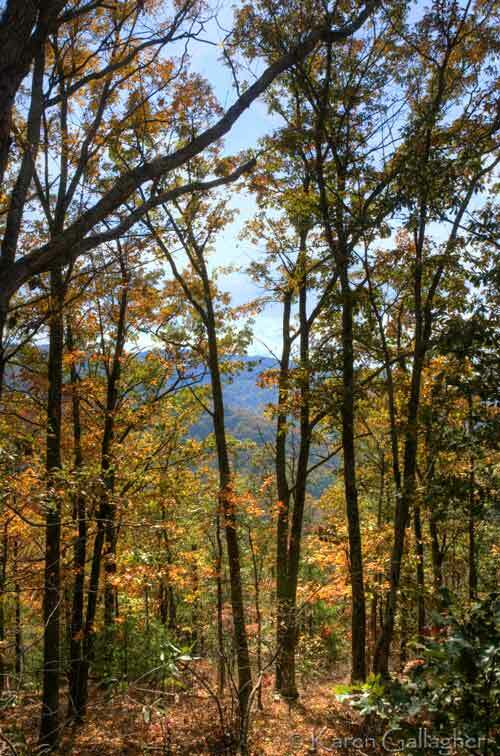 We began in the beautiful Shenandoah region of Virginia where the leaves had just started to turn. Each new vista was worth stopping to enjoy. We could see for miles. At this visit the mountainside was paved with lichen-laden stones. A gentle breeze sent golden leaves raining down on the forest floor. 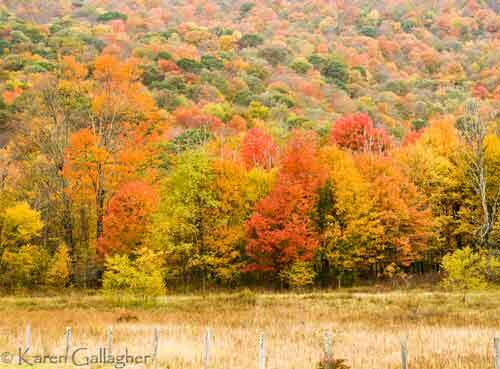 At higher elevations, every mountain side exploded in a mosaic of shades of yellow, red, and orange. 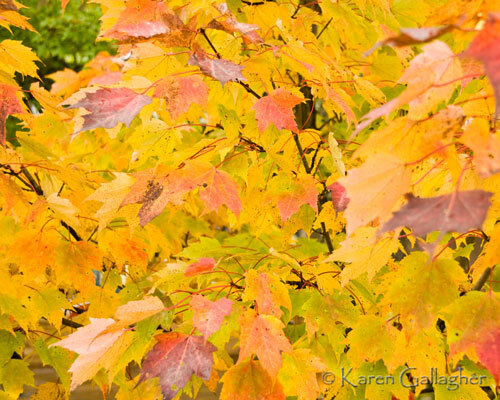 Here are a few closeups of fall foliage. Finally, this struggling maple sapling caught my eye. 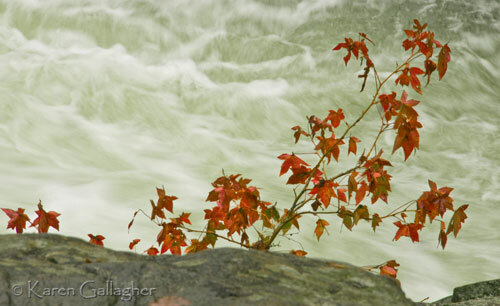 It grew out of the rocky wall of a rain-swollen, raging river. Amazed by its singular charm and awed by its tenacity, I had to capture it. I hope to frame the image for my wall, not because it’s a great photograph, but because it reminds me that beauty can exist in the most difficult of circumstances. Life’s challenges ebb and flow, just like the river, so it is likely that I may need the sapling’s reminder some time in the future. Perhaps God put it there just for you and me. Thank you. I enjoyed seeing those colors first-hand. 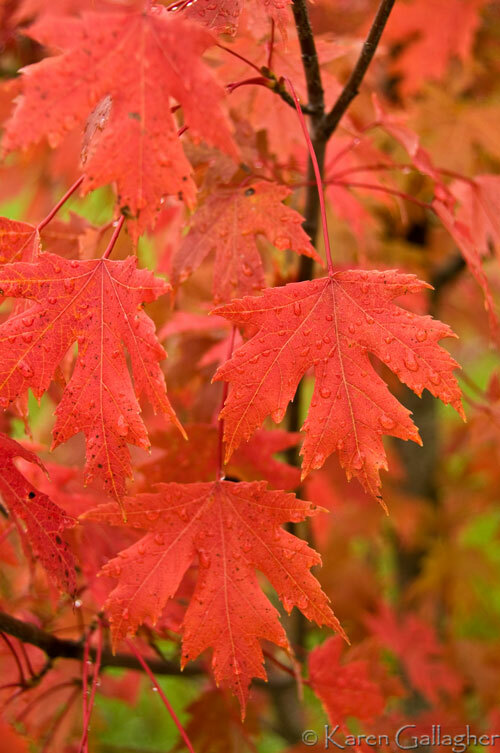 There’s nothing like the beauty of fall. The colors are bright on this end of the Parkway as well. They sure are! I enjoyed your blog. Your photos are excellent. I plan to visit often. I’m just repeating because I can’t find words for describing these views and colors. I love the road in “Shenandora Fall”. Thank you, Carsten. That was a HDR photo. I’m just beginning to experiment with the process. I know I have a lot to learn. You’re only going to frame one of these? 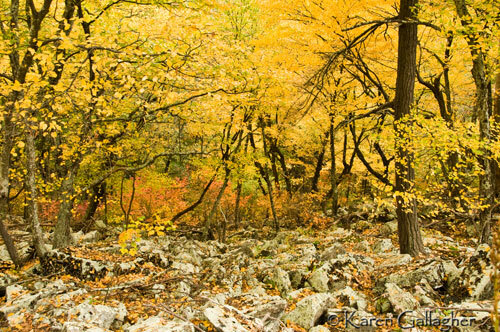 Splendid photos of a beautiful time of year. This post and the previous one are lovely, Karen, both in photos and verse. I am grateful for your kind encouragement, Scott. I enjoyed this trip so much. Thank you, Deva. Growing up in the north I enjoyed fall every year, but had forgotten how intense the colors of the leaves could be. Gorgeous! Love the one of Wittaker, WV!